We're glad to announce the new version of FlySpeed SQL Query. The new version 3.7 is available for downloading at the download page. 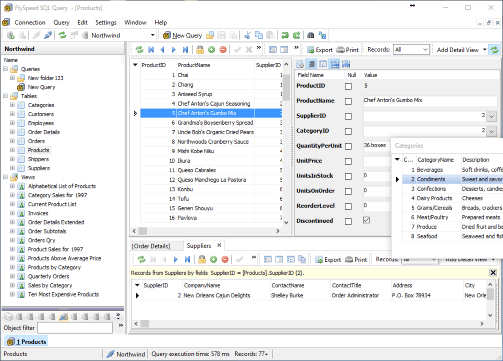 What's new in the FlySpeed SQL Query 3.7 since version 3.5.7? The 64-bit version is available now. Data view has been redesigned: Form view has been moved from the tab to a sidebar. Print Preview is now shown in a separate window. BLOB fields viewer is now part of the Form view functionality. Form view has been re-made for better performance and usability. Ctrl+D - Open and move focus to the Form view. Comments above the query text are preserved now. Each manual edit of the query text is saved to the History now. 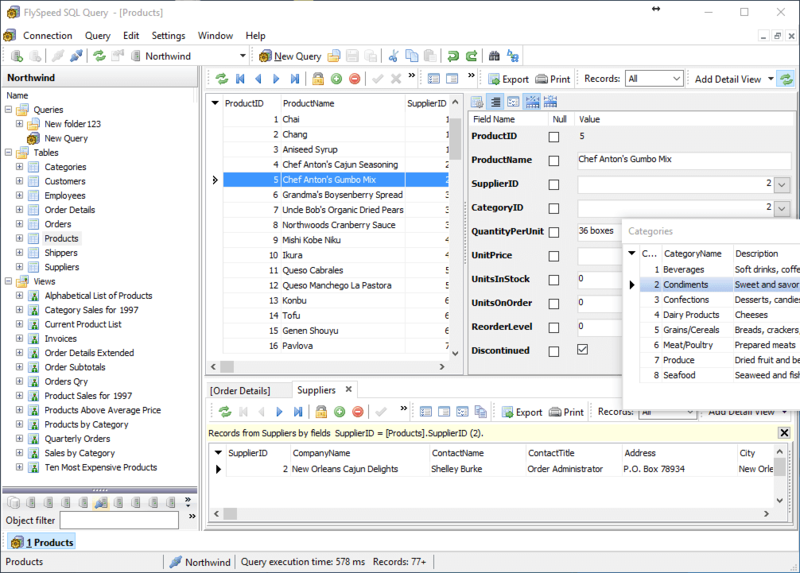 Notes can be added to a query on the SQL Text tab. Username and password for Generic OLE DB connections can be defined on the form, not only in the connection string. Edit cancellation prompt is now shown only on pressing the Esc button. It can be turned off in the Program Settings. The "Show in Explorer" item has been added to queries and query folders popup menu. MySQL: JSON data type support has been made. Auto-update and news forms have been redesigned. License activation and subscription prolongation have been made easier. We are eager to hear all of your suggestions, ideas and bug reports. Please send them to us as much as you want!